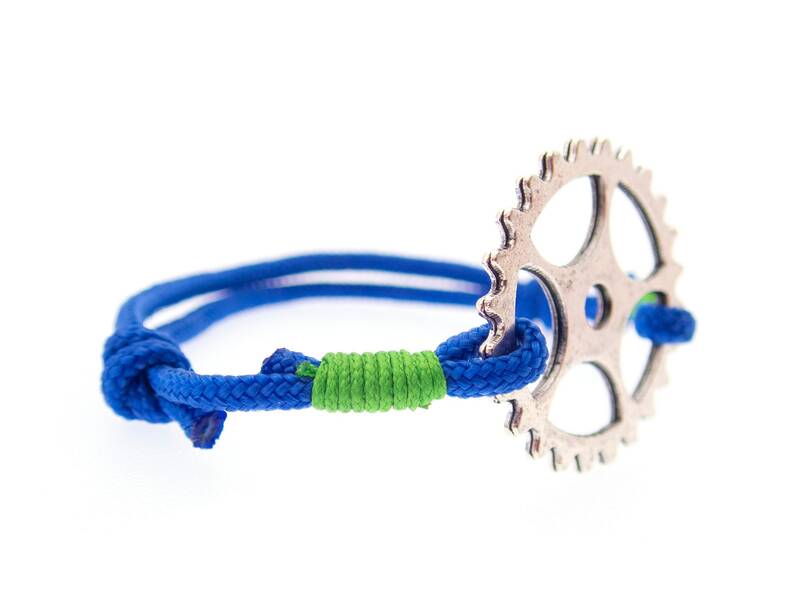 Handmade bicycle bracelet for men and women. 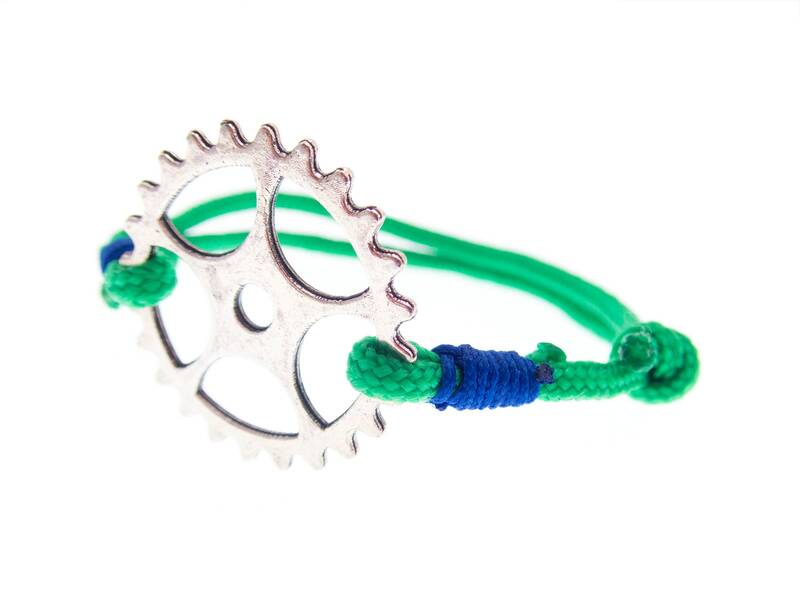 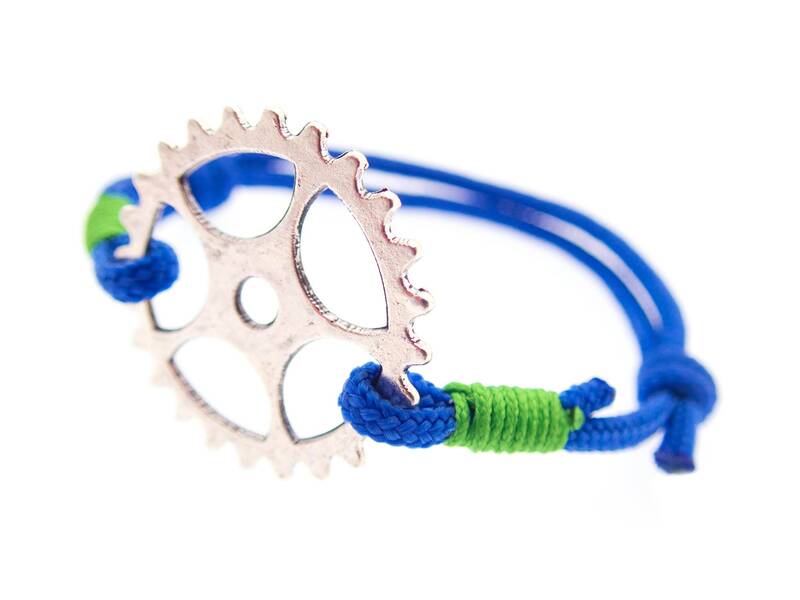 This bicycle friendship bracelet is created by us as bicycle bracelet with knots, rope and metal bike charm of chain wheel. 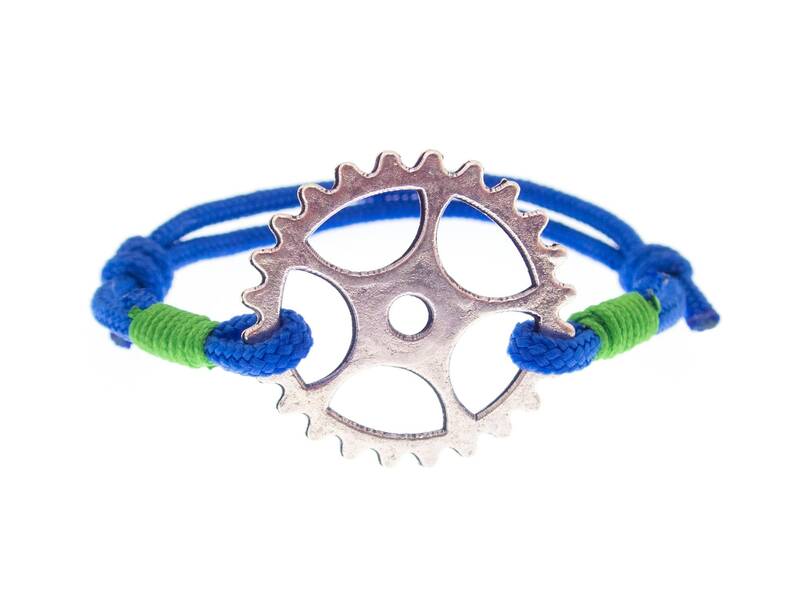 It is nice gift idea for any sport person, whatever runner, biker or mtb athlete. 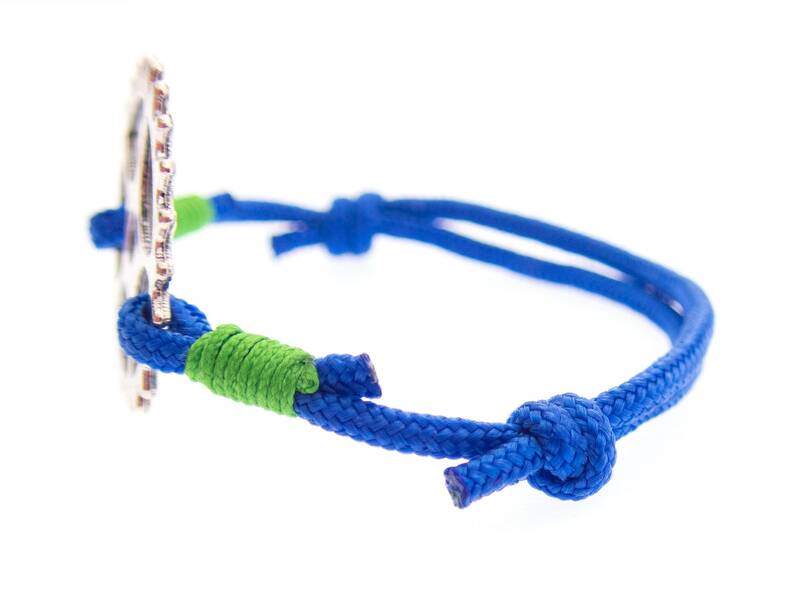 It is created pr polyester rope and adjustment knots. 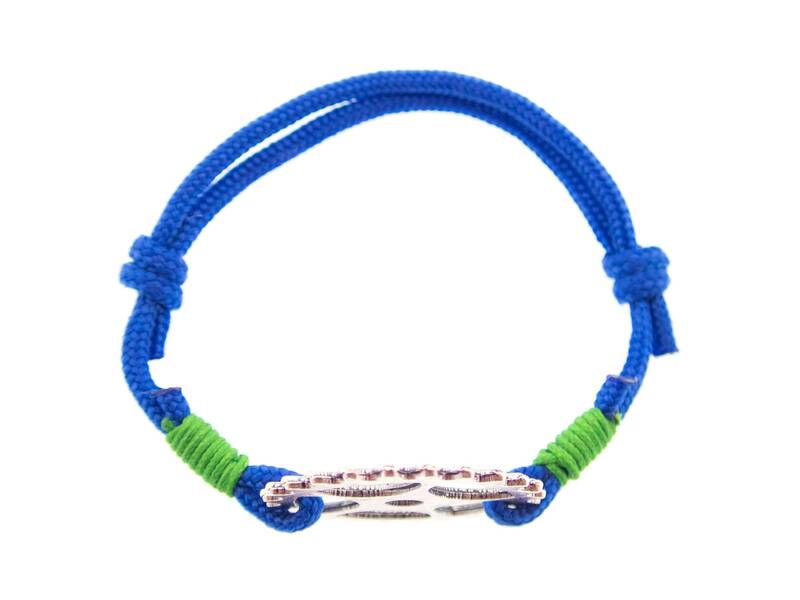 When you slide the knots you open or close the bracelet. 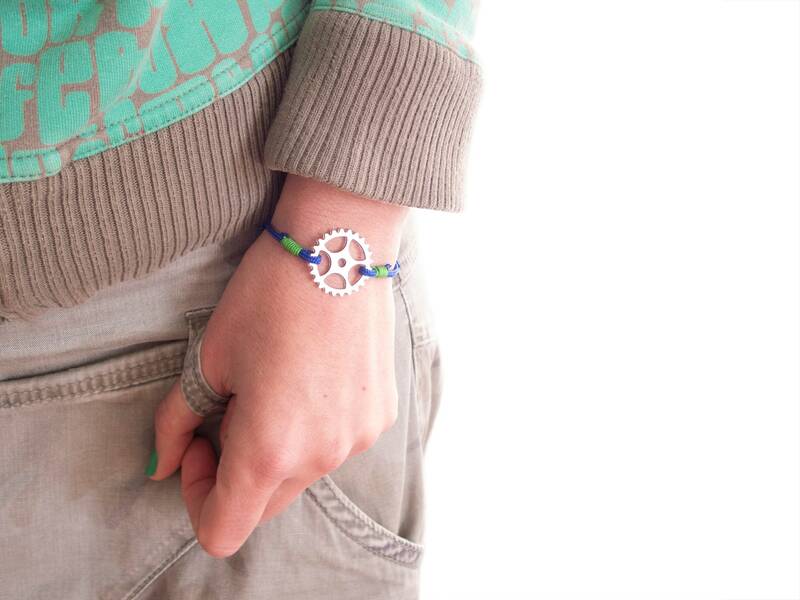 It is resizable and can be adjusted from 14 cm to 22 cm. 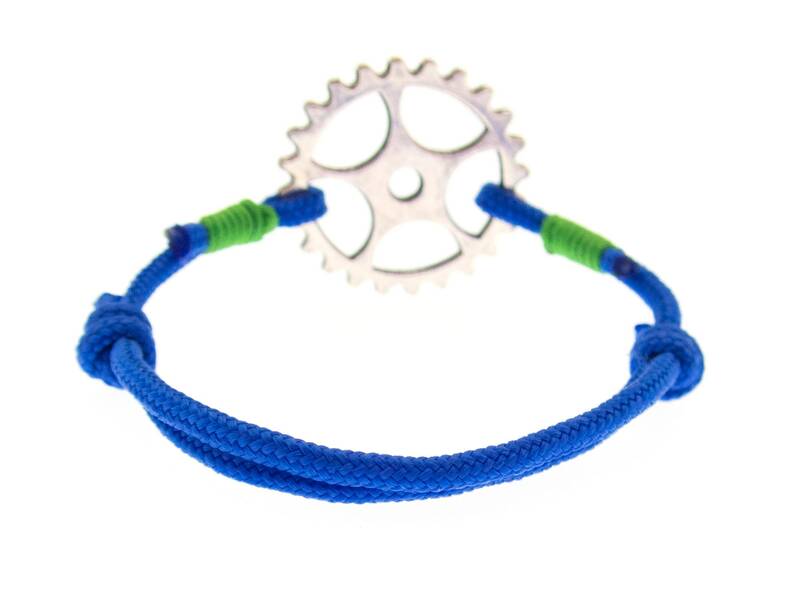 * Blue rope with green accents.